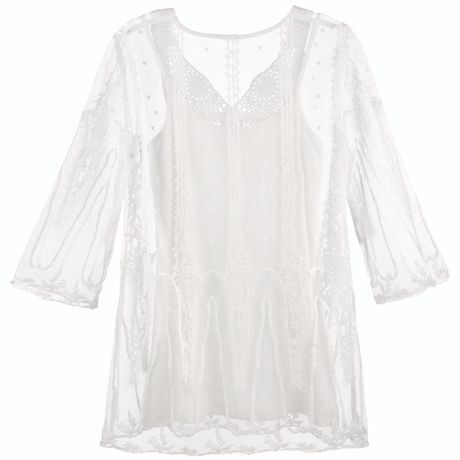 A gauzy over layer that you'll use so many ways, right in step with today's trends. 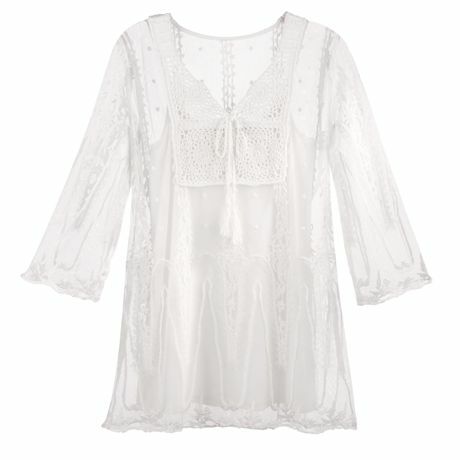 A combination of delicate crochet work and embroidery enhances the slightly ruffled 3/4-sleeve cut; silky-soft tank under layer completes the look. Polyester; matching tank is viscose/spandex. Imported. S(6-8), M(10-12), L(14-16), XL(18), 1X(18W-20W), 2X(22W-24W), 3X(26W); 31"L.